In part 2 of this case study, we talked with Noah Bradley about achieving mastery. Today, our conversation concludes with Noah’s thoughts on seizing opportunity. …and making the most of your skills and resources in order to become competitive in the industry. It’s so cool that he learned HTML early. I’m only so-so at coding. However, I have another solution. In art school, or in any social setting, go hang out with the other departments. I get my coding and photography done in exchange for graphic design and scheduling help. It’s been that way for roughly 10 years now due to my college connections. It’s so worth it. I’m glad you are addressing how the brush thing had been blown way out of proportion. I can’t speak for other people but when I ask, it’s always because I’m super curious, and I like experimenting with new things – not because I think it’s a magic wand. Due to this, the “it’s doesn’t matter” lecture drives me up the wall. In other words, chocolate ice cream is really tasty, but if I see someone eating pomegranate walnut chip, how could I pass that chance up? Taking time out to learn. I’m so bad at this! I need to get better. I have one of Terryl Whitlatch’s books open next to my desk though, which has started to really help. I adore Noah’s thoughts on social media. How does he keep a log? Like an archive of images? That’s such a cool idea, trading skills like that 😀 Do you find that sort of collaboration leads to other interesting opportunities or outcomes, due to the network you’ve formed? But that’s not everyone, and to see these sort of questions being immediately dismissed without any sort of discussion is super frustrating! And I think leads to a lot of unecessary tension within the community. The college network is like a second, smaller circle of trust for me. Until OA, I don’t remember encountering many people throughout my schooling, who were interested in having these kinds of deep discussions with me. I think it’s because we are all – sort of – in the same boat now. 30’s. Sick of corporate life. Looking for something new and better. 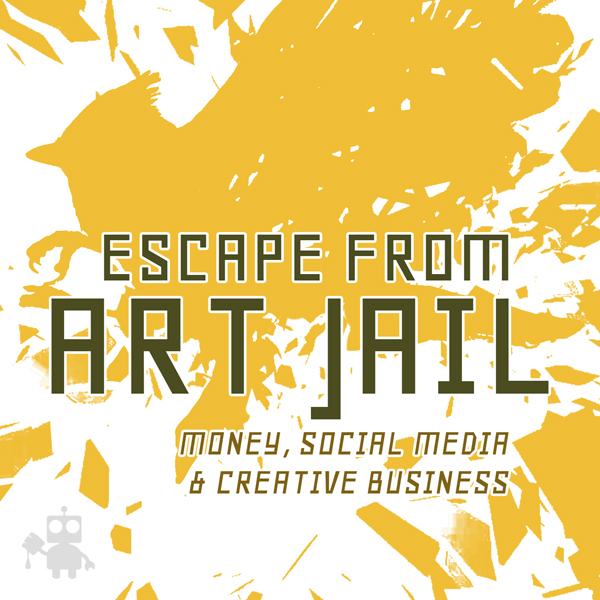 Even though they aren’t necessarily looking to make art, they are definitely looking to get out of the grinding rat race. It definitely helps to be able to bounce ideas off of people. Skype and google hangouts are great too. if you ever want to hang out and chat about purple things or whatever, just ping me. I’m working on either my personal project or purpleness from 3ish to 8ish almost daily (weekdays). It’s so cool that Noah taught himself HTML and kept with it. When I was in middle school, I taught myself a lot about HTML but abandoned it for a few years and now I can’t remember most of it without looking at a pre-existing code. It’s definitely a really handy skill to have. Also: the fact that he knows he’s good at communication is awesome, too. Having confidence in that area is important. Auuugh, the brush question!! It was somewhat of a relief to hear this because I always feel annoying when I ask what tools people are using, be it photoshop brushes, inking pens, or even something like a scanner or printer. Jake Parker recently made a page on his website listing everything he uses, which is awesome for folks like me who don’t really know what to look for, or where to begin looking, when it comes to investing in equipment like scanners and printers. Tools definitely aren’t magic or anything, but they do make a difference once you learn how to use them. Another home schooler! Albeit I was home schooled up until high school. I think it’s really awesome that Noah knows about how long he can work on something before his focus starts dwindling, and then he can use the rest of his time to research stuff and learn about things and expand his knowledge. I should start paying more attention to that during my own work so I can make the most out of the time I have. Yep I agree re: tools! That’s the sort of discussion I think we need to be having in the art community, rather than just dismissively stating that tools don’t matter ^__^ And yeah, it saves so much time and resources to be able to hear from people who have experience with the tools you’re thinking about investing in. Home schooling was a really great experience for me! My mom kept things pretty strict–like we all still had to be dressed, in the living room and ready to start working by a decent time in the morning. My grandmother, who had been I think an elementary school teacher for a while, would come by every other day to teach us history and science. I don’t remember at what point it was that I was more or less teaching myself, but it was probably around middle school? I taught myself math and my dad would help me with homework in the evenings if I had a difficult time understanding the lesson earlier in the day. It was around middle school, too, that we started going to a home schooler’s “school” for science and biology, and we’d go on Tuesdays and Thursdays to that. They ran their classes in this little house that was on this huge plot of land, and they had a cow, some sheep, tons of chickens and an evil goose named Emerald who you couldn’t face without a trashcan lid for a shield. I’m rambling now, but yes! 😀 We had about the normal length of a school day, had holidays and stuff and kind of kept to the same calendar as our local schools did. I have a lot of silly and fond memories. I was homeschooled as well. Very wonderful experience for me as well. Lots of flexibility to move and visit when school is packing your books in a suitcase. I had very short days when it came to school from K-8th grade because I could learn my material for the day, do the homework and be done pretty quickly. Mondays were LIGHTS homeschool group where we would have PE, sewing, world religion, folk Songs and Crazy intense Music Theory classes. Classes changed all depending on the year and what the different age groups needed. One year we had a nuclear physicist teach us biology and chemistry. College teachers taught us the music classes. Highschool it was like normal school hours except I had to double up on some days to make up for Monday classes at LIGHTS. Two of Algebra one day. Two of English vidoes the next. Two of Economics and so on. All videos were watched while I was drawing comics of course, so homeschooling definitely helped my love of art. I was a little nervous coming to college because previously I could move my deadlines around as needed and most times I would finish a school year by early May, but now teachers were going to be giving me my first art classes and I felt a little sick going in. Fortunately I adapted quickly and never turned anything in late and kept mostly A’s. I think the homeschooling helped alot in college because I knew how I learned and I had already previously scheduled my own school to make sure I didn’t finish super late with all my extra curricular activities. Overall, it was really cool. Allowed me to visit California for two months, Ecuador for two weeks. Go to see my mom’s college while she was taking classes and I sat in the hall with the music students. And as opposed to not keeping in touch with my highschool friends like I hear most of my college friends say they do, I find that they are just as near and dear to my as my art friends from college. Free thinkers and very kind and loving. Loved it. Very tempted to homeschool if I have kids. I was homeschooled until college as well! And I tell people the same thing all the time. Homeschooling, teaches the student how to learn. Especially how you, as an individual, learn. One of the things I am most grateful for in my life. This was a great series! Thanks guys!